Coming soon Spectre XT, Mini 1104, 4300 AiOs. If you ever need families (ranges) or models to be visible in HP iQuote just use the Feedback Form. Thank you. And we’re not done with a stack of new Families/Ranges coming soon. We’ve put live some further changes to the PPS System Finder in HP iQuote. We think they make the process of finding the right Desktop, Workstation or Laptop even easier. You can now select multiple different values against Hard Disks, Memory or Form Factor – so if you want a Desktop with 4GB or 8GB of RAM, and a 160GB or 250GB Solid State Drive, four clicks will get you there. June 2011 saw our busiest iQuote Distributor in the UK quote more PSG Systems than ESSN Systems. Based on Exported System Quantity more systems were quoted for the HP PSG portfolio than HP ESSN. There were more HP ESSN quotes by far but this is an interesting trend. At the same time the number of PSG Systems in iQuote, across USA and Europe has also increased hugely as we keep pace with the fast-moving product lifecycles for Notebooks, Desktops and Workstations. Around 100 new systems have been added this week alone. You can now quote the Elite 8200 Desktop Range in iQuote (SFF, MT, CMT live). 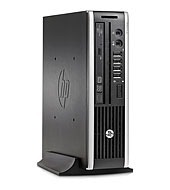 The HP Compaq 8200 Elite Series incorporates the newest business PC technology with HP’s designs, and specific programs and services created for business including stable and lengthy lifecycles, and security and remote management solutions. There is an HP Elite Series form factor to fit your workspace and performance requirements. Choose the Ultra-Slim Desktop (coming soon to iQuote) with flexible mounting options, Small Form Factor, Microtower, or Convertible Minitower for the most expansion flexibility. Many new models available to quote now for US and European PSG iQuote Users. The HP Compaq 6200 Pro includes proven PC modules and components designed to rigorous business PC standards. Delivered in two familiar form factors (Small Form Factor and Mini Tower), the 6200 Pro Series will satisfy most everyday business computing requirements. You can now quote the HP Elite 7200 MicroTower on iQuote. The HP Elite 7200 comes with the latest technology from Intel to deliver a premium mix of powerful performance, useful features and flexibility. Intel’s latest-generation of processors and Intel® H67 Express Chipset represent the next step in faster, multi-core technology that intelligently maximizes performance to match your workload. The HP Elite 7200 uses the Intel® Core™ processor ranging from i3-2120 to i7-2600.